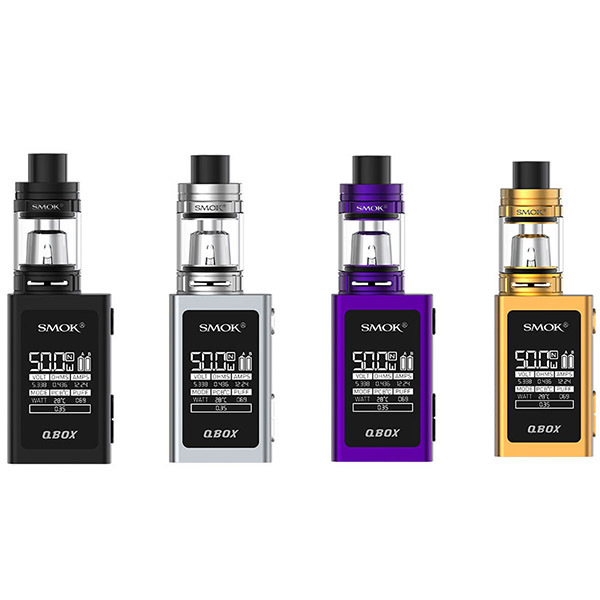 A new SMOK Q-Box Mod Kit extends the range of compact vaping devices. This small e-cigarette allows comfortable carrying. You can take it with you wherever you want. It also suits well your hand. Moreover, the SMOK Q-Box looks stylish. The developers offer 5 color options. You have an opportunity to select black, silver, gold, purple or even rainbow kit. Moreover, this fashionable mini device will serve for a long time because it has durable zink alloy construction. 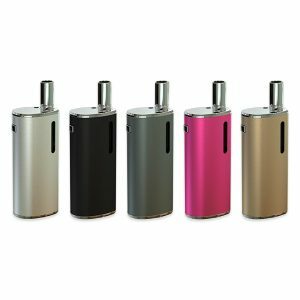 Despite the small size, the mod features a large 0.96″ screen. It ensures easy reading of the key vaping parameters. In this kit beautiful appearance combines with good technical characteristics. The SMOK Q-Box gets power from the built-in 1600mAh battery. You can reach up to 50W power output. Such power capabilities ensure massive vapor. Besides, the recharging process is quick. The device supports both TC and VW modes. 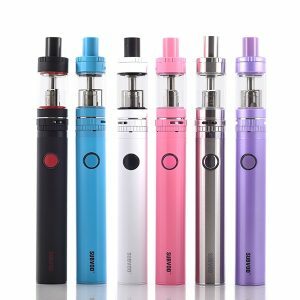 Moreover, with this kit you will also enjoy safe vaping due to various protections. If to speak about e-juice capacity, the tank can hold 3ml of e-juice (2ml in EU version). Thanks to a high-quality airflow control system, you can get an extremely open draw. Also, the e-juice refilling is easy because of convenient top filling technology. Moreover, the tank features anti-leakage system. So, you no longer need to worry about any leakage. 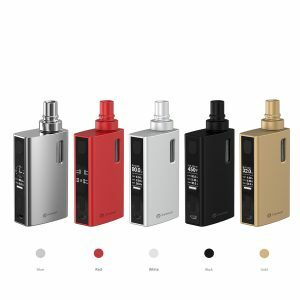 The SMOK Q-Box vape mod kit is a good choice for every vapor.